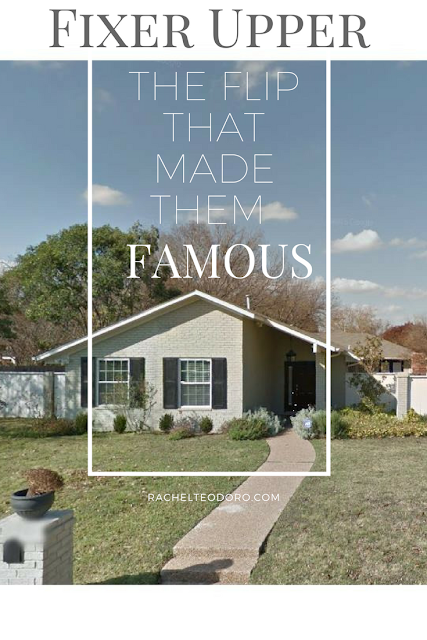 HGTV I'm sure by now we have all heard the story behind how the hit HGTV show Fixer Upper got its start. 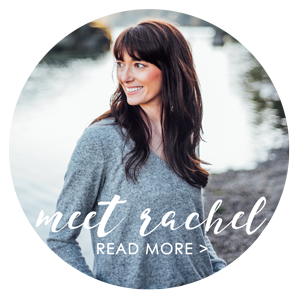 I especially love the story, because it's deeply rooted in something near and dear to me, and that's my blog. The story goes something like this: Joanna, a mom blogger with great design style was featured on a larger blog, and a production company saw that post, loved it, and got in contact with her. Soon after, a pilot was made for Fixer Upper, and the rest is history. But wait! There's more to the story. I fell down a Fixer Upper wormhole today and was able to piece together some fun information that should fill in some gaps in your Fixer Upper knowledge. 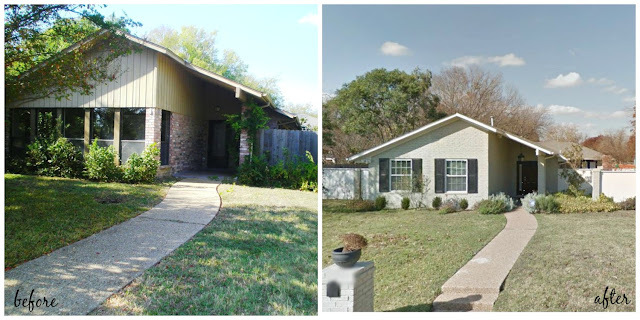 Not only do I have the story of the flip that made them famous, I've even got before and after pictures of the flip that started this phenomenon called Fixer Upper. In 2011, Joanna Gaines was a stay-at-home mom with four small children. 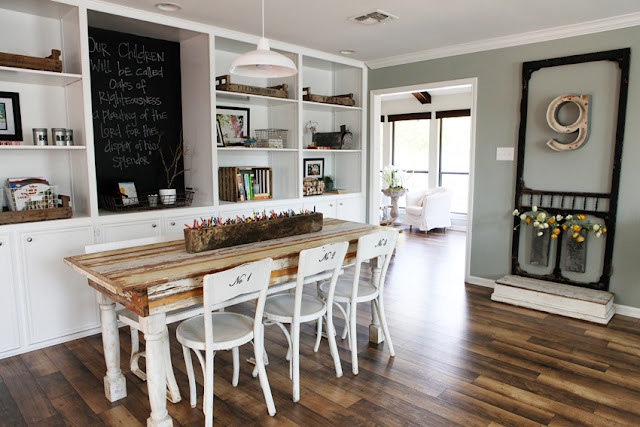 Her husband Chip was flipping homes around Waco, Texas, and Joanna was writing a blog called Magnolia Mom on the side. She was also helping to design the homes that they were flipping. After living in the same house for five years, Chip sold their home pretty much out from under them, and the family moved into a foreclosure that Chip had bought as a flip property. Joanna actually said that when Chip initially bought the property that they were forced to hastily move into, she was upset. "It had no character, no curb appeal, no nothing." The house was filled with 1980's indoor landscaping boxes and built-ins on what seemed like every wall. Joanna had a hard time seeing the vision for this home, and it took a neighbor dropping off a bottle of wine and card on their doorstep to make her want to do something great. The card read "Thank you so much for buying this house, it has been an eyesore for years, we can't wait to see what you do with it." Over the course of a just a few weeks, Joanna started working on their new home, adding her famous design touches along the way, and eventually fell in love with it. The house became the perfect home for their four children. 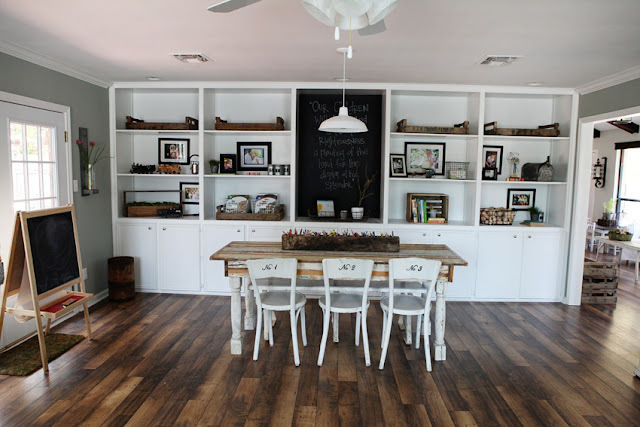 Even the built-ins were turned into fun hiding spots for the kids, and the house took on a relaxed family feel. What you may not know about the flip is that Joanna's super sweet friend Molly Winn, an amazing photographer, contacted Gabrielle at DesignMom.com to feature Joanna's newly remodeled home in a blog series that she does called Living With Kids. The blog post went live in early 2012 and featured images that Molly had taken of the flip. The production company for HGTV saw the Design Mom article with the pictures of the flip home the Gaines family was currently living in, and contacted them through their website. I guess now you can say that the rest is history! 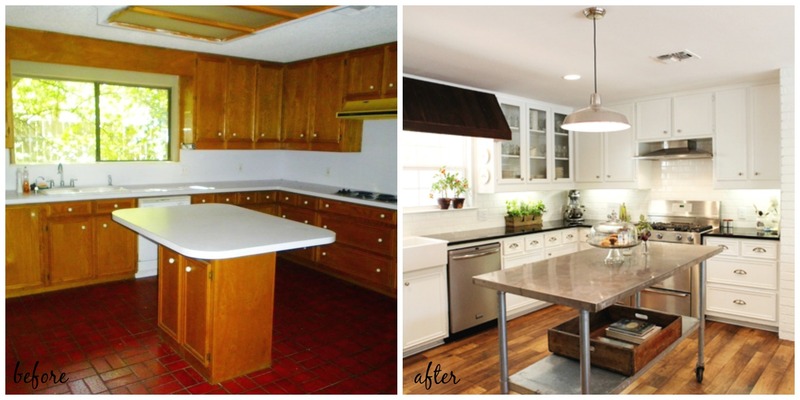 Want to see some of those before and after pictures of the flip that made the Gaines family famous? 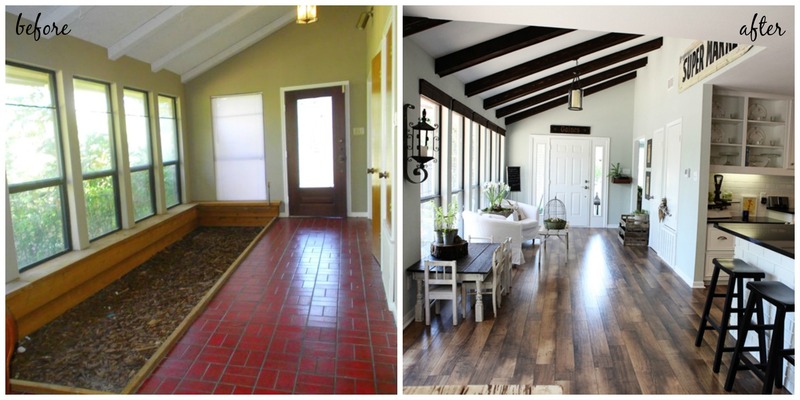 The home sat empty for three years before Chip Gaines purchased it as a flip. Chip found a buyer for their then current home and the Gaines family of six had less than a week to find somewhere else to live. Moving into the flip house seemed like their only option, and it became their home before they purchased their current farmhouse property. The interior had a few separate indoor landscaping features that Joanna hated. 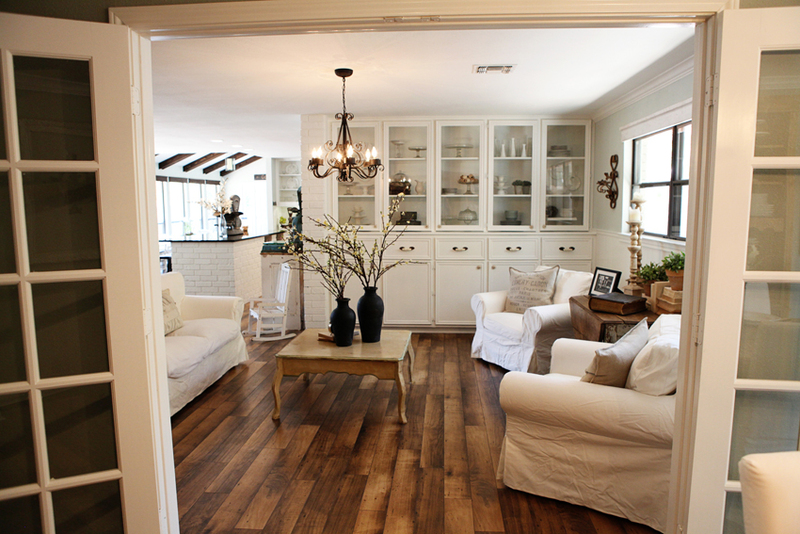 They were able to remove the garden boxes and install laminate flooring that looks like beautiful hand-scraped wood. The new floor was perfect for a home with young kids because it was easy to keep clean and nearly impossible to scratch. The kitchen retained much of it's same footprint, but white cabinets and a stainless steel island and appliances gave it an open, airy feel. Remember all of those built-ins that Joanna mentioned? She wasn't kidding! Her signature white look and mix of old and new is seen all over the updated home. Let's not forget to take a peek at the backyard. The red bricks were painted white and the fence was given new life. 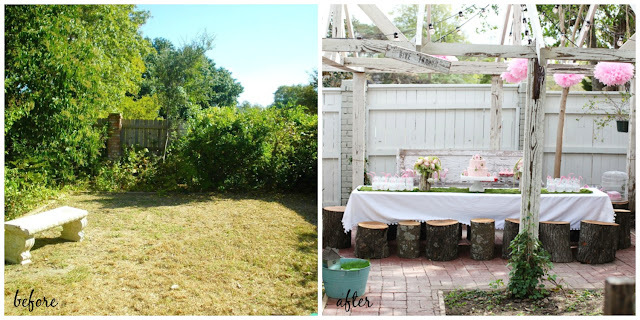 The yard ended up being the perfect space for daughter Ella's fairy-themed 5th birthday party. 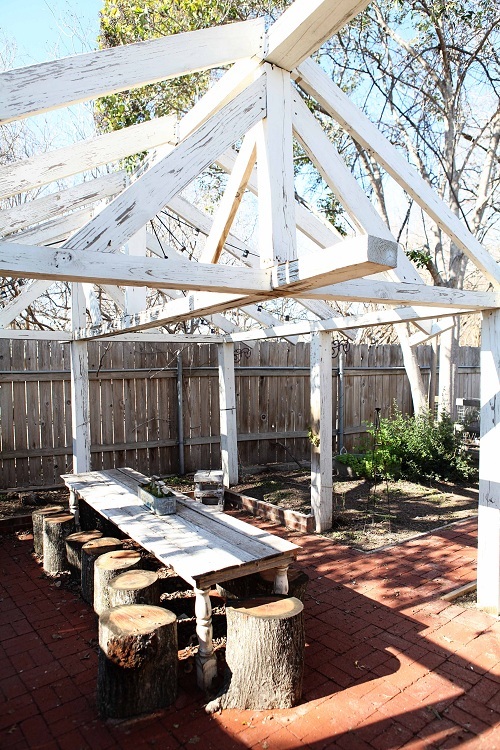 This picture gives you another look at what the backyard pergola looks like. 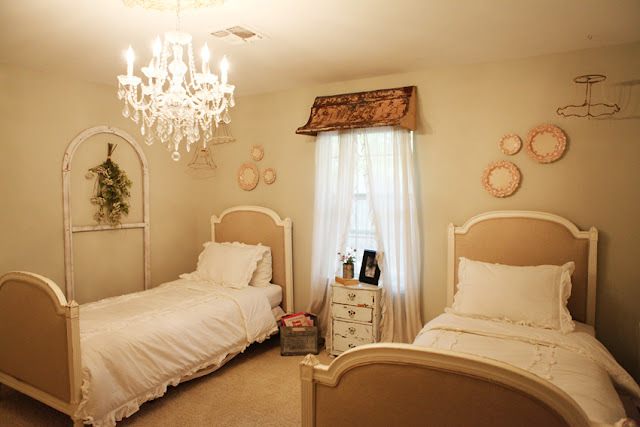 The girls room contains a vintage awning, and if you take a peek inside the Gaines's current home, you will see that these two beds are still being used in that design. The boys room had a windmill in the corner and a swing hanging from the ceiling. 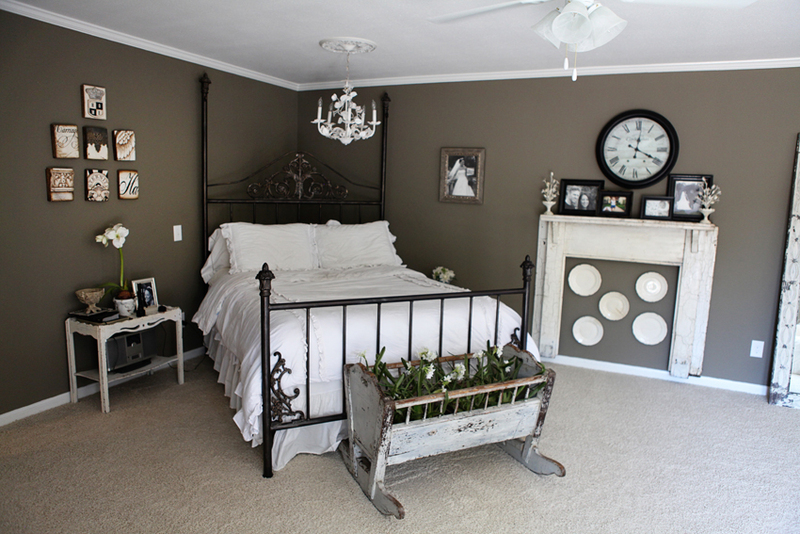 The master bedroom has classic white bedding and a faux fireplace on the wall. Joanna has always had a knack for using architectural pieces to create design elements. 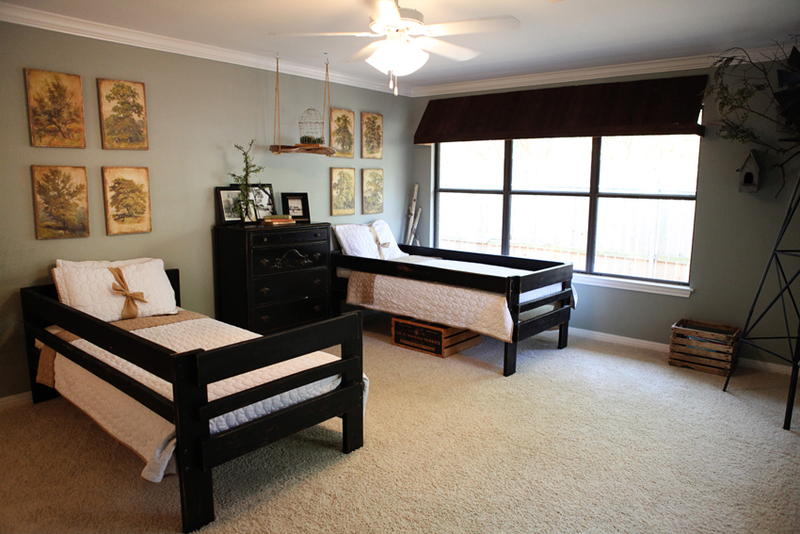 The Romanian crib at the end of the bed was originally purchased for the girls bedroom to hold dolls and toys, but it ended up being too bulky for that space. Joanna put a flat of faux paperwhites in the crib, and it became a fun planter. 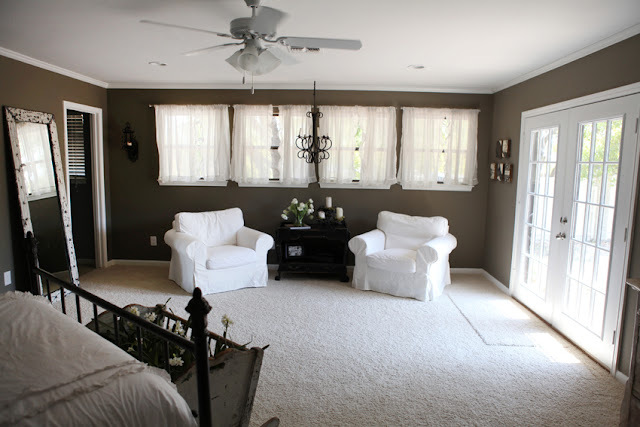 These chairs made the move with the Gaines family into their new home, and can be seen in the sitting area of the master bedroom in the farm house. You might think it would be a dangerous idea having white furniture with four small children, but the furniture is all from IKEA, with inexpensive slip covers that can easily be cleaned or replaced. In 2003, Joanna opened Magnolia Market on Bosque Boulevard, but after feeling like she missed out on most of her oldest son's first year of life and newly pregnant with their second child, she felt called to close the store. 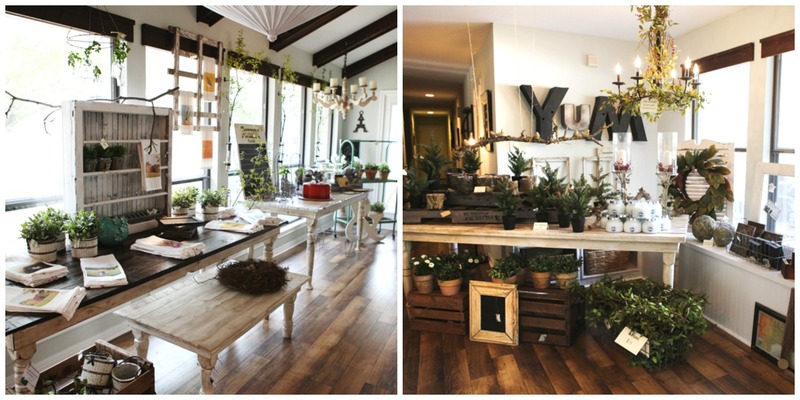 However, she continued to sell old architecture, greenery and unique pieces out of her home a few times a year. The Gaineses soon found that customers walking through their home-shows, which spanned several rooms of the house, would leave begging Chip and Joanna to take them on as clients. molly winn photography It's no surprise that for years Chip and Joanna have been designing and creating beautiful spaces. It was fun to be able to take a look at the flip that made this couple famous. 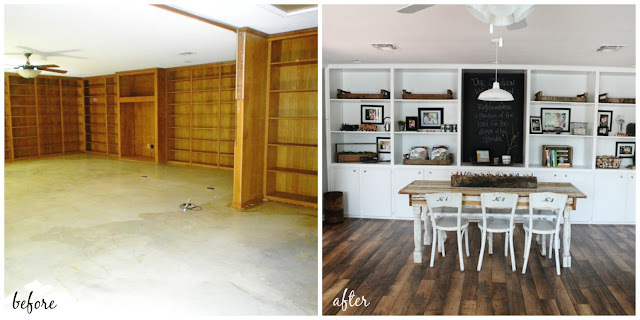 Do you have a favorite "after" space? I love to watch this show--my husband, too. We recently went through a home renovation and constantly joked about adding shiplap and a really big clock to our new home (in the Northeast). 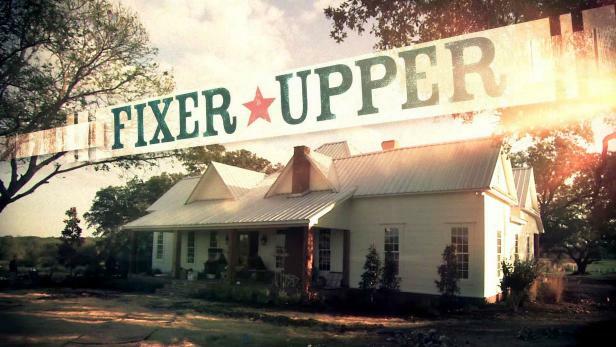 Thanks for sharing these tidbits of Fixer Upper history! My Husband was just asking how they got discovered! Now I know! Thanks for sharing. 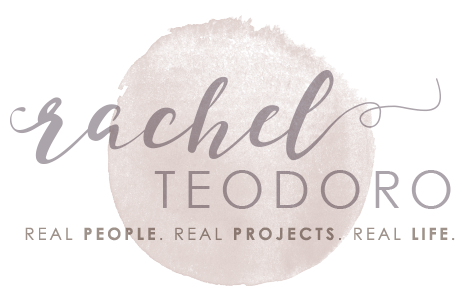 It's so fun to stumble across this blog (while searching for light fixtures, of all things!) I live right across the street from this house. Would you believe the new owners (all of us are mutual friends with the Gaines) put in a pool house, pool, and great outdoor kitchen? It too looks amazing. That's awesome! Waco is a town where it seems everyone knows everyone. I've been loving that it's my son's home away from home while he's at Baylor. How very cool. Thanks for sharing! I was looking everywhere online for the house that they got started with. I seen the pictures of the inside but not the exterior before after etc. On Thanks for sharing! In this day with so much carp on tv. This show has been a blessing . I have dvr'd every episode. So glad I did now that fixer upper has ended. Love the new show just as much. Just goes to show you don't have to be a filthy mouthed, dumb as dirt show to have followers. Thank you Chip and No for sacrificing your time away from your precious family to bring great entertainment to those of us who remember what great entertainment was. God bless you and your precious babies.